Despite administration hopes that the Affordable Care Act would decrease emergency room visits, the number has continued to grow, CEO of Tenet Healthcare Trevor Fetter told CNBC. It was anticipated that the greater availability of primary care physicians would decrease emergency room traffic, which has been rising steadily in past years. Tenet Healthcare owns and operates 77 acute-care hospitals and 189 outpatient centers in 14 states. The majority of the hospitals are located in California, Florida, Michigan and Texas. Fetter has seen an increase in admissions to its facilities, especially in states that have recently expanded Medicare and Medicaid programs under the Affordable Care Act. A Journal of Science study last January found the expansion of Medicaid actually increased the use of the emergency room among low income households by 40 percent. 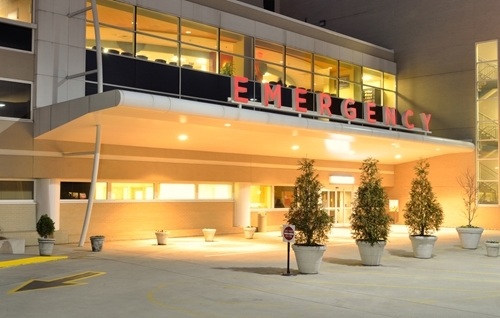 "Emergency room visits are up. But emergency room visits have been up every quarter for a really long time," Fetter explained in the interview. "The growth rate has not slowed." Affordable Care Act coverage is expected to continue rising in popularity, with national enrollment now exceeding eight million subscribers. If trends continue, already overcrowded emergency rooms could be faced with an influx of new patients, many of which could have long-standing health issues that have been untreated due to lack of prior insurance. The very nature of emergency care means that some patients will not be prepared for the cost of their treatment. Unexpected medical bills can weigh heavily on a family or individuals' expenses. Rising insurance premiums have also contributed to the growing difficulty of health insurance collections for medical claims processing professionals. Hospitals or doctors offices that provide emergency treatment may want to look into outsourcing medical claims management to offset the number of outstanding accounts. Otherwise, it appears that the the amount of outstanding debt related to emergency care will continue to rise.